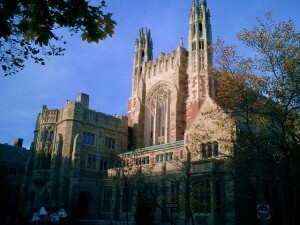 The Yale Law School Dean of Admissions has an opinion on college admissions consultants (photo credit: Pradipta Mitra). We couldn’t agree more with Rangappa. There are thousands of college admissions consultants and a good percentage of them lack the credentials and experience to help students gain admission to the colleges and graduate schools of their dreams. Good college admissions consultants have often worked as school counselors and admissions officers at highly selective colleges. Good college admissions consultants know how to write effectively…if they hope to help their students write well. And yet there are still other college admissions consultants whose only credential is going to an elite university themselves. She’s right. Just as there are good teachers and bad teachers, good plumbers and bad plumbers, there are good college admissions consultants and bad college admissions consultants. Rangappa goes on to write, “Admissions at elite schools is widely believed to be rigged in favor of the privileged and wealthy, and to a certain extent, it is. By closing themselves off behind a wall of secrecy, admissions officers are complicit in creating a market that allows students who are already ahead of the game to get an even greater competitive edge in the process.” The administrator from Yale is right and kudos to her for owning it. She’s earned our respect, even if she doesn’t much care for college admissions consultants.